Near the Grand Canal and Santa Lucia train station, easy to reach in just 5 minutes from Piazzale Roma thanks to Ponte della Costituzione (or Ponte di Calatrava), the boutique hotel Abbazia de luxe is a luxurious oasis of peace in the tranquility of a Venetian "calle" (street), far from the confusion and crowds of tourists. The stop for the ferry on the Canal Grande offers guests of the bed and breakfast Abbazia de luxe the possibility to explore Venice navigating among extraordinary palazzos and museums, facing the major waterway of the city. 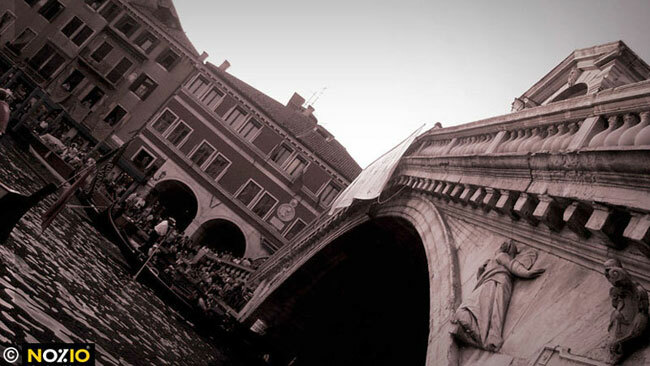 Going beyond the bridge, Ponte degli Scalzi and the Baroque magnificence of the church of the same name, you may admire the Gothic-Byzantine combination of Palazzo Vendramin, site of the Casinò, and the splendor of the Cà d’Oro preceding the fabulous and famous architecture of the bridge Ponte di Rialto. Turning toward the bridge, Ponte dell’Accademia, Palazzo Grassi and Cà Rezzonico, museum of the Venetian 17th century, sumptuously anticipate the surprising profiles of the Basilica della Salute at the entrance of the basin, Bacino di San marco. The salon of Istria stone of piazza San Marco is a large space surrounded by porticoes of the Procuratie, adorned by the beautiful architecture of the basilica and dominated by the bell tower of San Marco reaching for the sky. Just meters from the shore, Palazzo Ducale, former seat of the government of the Serenissima, preserves splendid frescoes by masters such as Titian and Tiepolo. Within its gothic style facade is the extraordinary room of the Maggior Consiglio (High Council) and access to the prisons of the republic across the famous ponte dei Sospiri (Bridge of Sighs). At the station of Santa Lucia in Venice, turn away from the binaries and head left along the shore, take the second calle to the left, in front of the bridge, Ponte degli Scalzi, and you will be at calle Priuli dei Cavalletti numero 61 where the boutique hotel Abbazia de luxe awaits you. 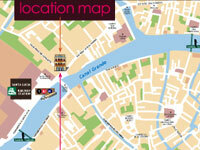 On arriving at Piazzale Roma, leave your car in the garage provided by our hotel. From Piazzale Roma go past Ponte della Costituzione (or Ponte di Calatrava) and you'll arrive at Ponte degli Scalzi. Calle Priuli dei Cavalletti is opposite the bridge, we look forward to seeing you at number 61. You can also take: the Vaporetto (line 1 or 2) - "Ferrovia" stop - turn the right towards Ponte degli Scalzi and follow the 'By train' directions. The “Marco Polo” airport of Tessera is 10 km from Venice. You can get to Piazzale Roma by: ATVO "Fly Bus" - ACTV bus number 5 - Taxi. From Piazzale Roma follow the 'By car' directions. A water taxi service is available which docks near Abbazia de luxe. From Treviso's "Canova" airport you can get to Piazzale Roma by taking an ATVO bus. Then follow the 'By car' directions. Contemporary Venice . Every year Venice is the preferred destination for art lovers from around the world; some basic stops are the famous pavilions of the Biennale art, in the area of the gardens, Giardini, the Fondazione Bevilacqua La Masa, and the modern art gallery, Galleria art Moderna di Cà Pesaro, regularly exhibiting the work of young international talents. Around Piazza San Marco many art galleries present the creations of acclaimed Italian and foreign artists . Not far away, turning toward San Samuele, we find the famous galleria Santo Stefano: its history includes the names of De Chirico, Morandi and Vedova. Palazzo Grassi, recently re-opened by the French magnate Francois Pinault, has chosen to dedicate itself with great enthusiasm to contemporary art collections and offer views of the work of masters such as Damien Hirst, Jeff Koons and Maurizio Cattelan. 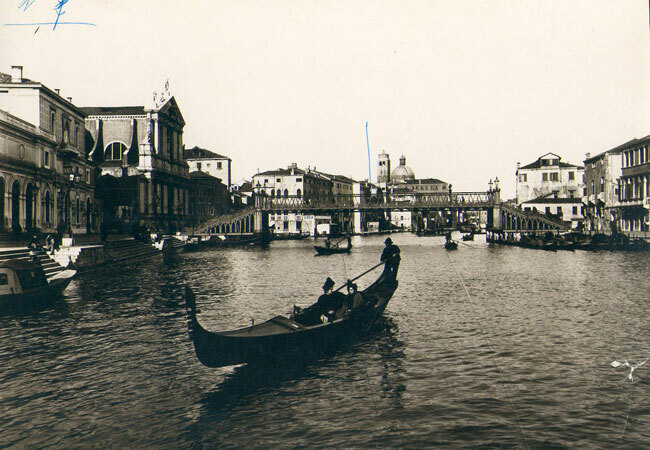 We must not forget the importance of the Collezione Peggy Guggenheim which, within walking distance of the bridge Ponte dell’Accademia, inside Palazzo Venier dei Leoni, displays an extraordinary series of works by Picasso, Mirò, and Pollock. Absolutely not to be missed. Shopping. Dedicating oneself to shopping in Venice is easy. 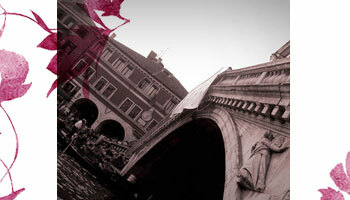 And acquiring something typically Venetian is even easier. The famous carnival masks in terracotta or ceramics are still today probably the most sought-after product. In Venice, you will find every kind and at every price. A precious and original element for your decor. Take a whole morning in Murano. The glass items produced, invented and promoted by the ancient masters of the island will enchant you with their beauty and authenticity. Lamps, vases and signed jewelry are part of the offerings that will never disappoint you, allowing you to take home a bit of the character of Venice. If, on the other hand, you are looking for fashion shopping , turn along the Mercerie (haberdashery area) connecting San Marco to Rialto where every Italian and foreign brand is found in the elegant andexclusive boutiques of Gucci, Max Mara, Armani, and Cartier. On the opposite side, just outside Piazza San Marco, Calle XXII Marzo presents the creations of Bulgari, Versace, and Damiani.